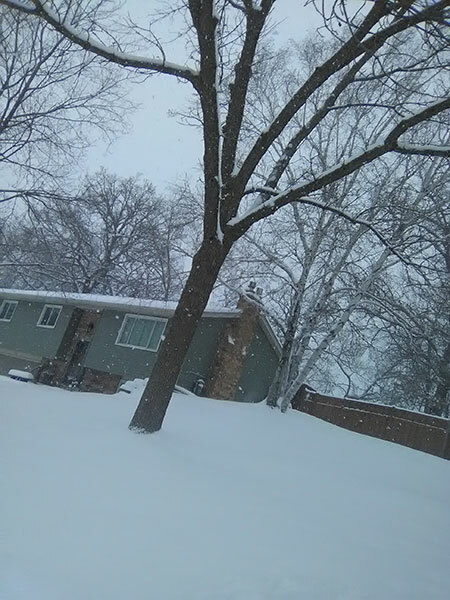 On this Minnesota day, I am GRATEFUL to be working from home, as I have been for 30 years. (When I first began working from a home office, it was so unusual that I was written up in several magazines. How times have changed.) There are disadvantages (I can work 24/7) but I am thankful to not be on the roads. I am mindful of all the people driving in challenging conditions, sending my best wishes for your safety. (Thanks to Steve Palmquist for bravely stepping outside to take this photo. Mind you, as of 4:00 am, our weather forecasters were quite certain we would get no more than one inch of snow today. Um-hmm.) Apparently I am also thankful for parenthetical statements. 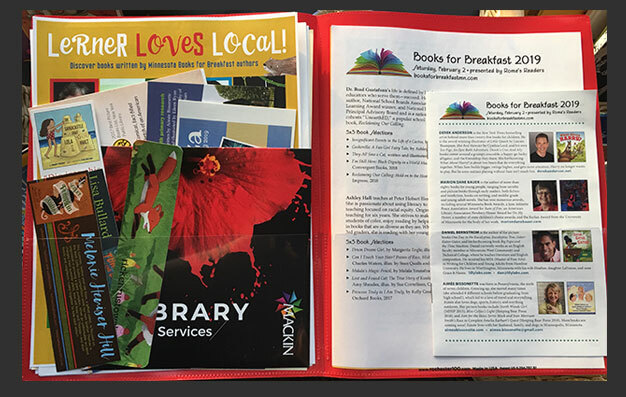 Last night, a group of teachers and children’s literature enthusiasts gathered to place good information in the folders each attendee will receive at the 2019 Books for Breakfast. The 25th anniversary of this event will take place at Rush Creek Golf Club on Saturday, Feb 2, 2019, from 8:00 am to 12:00 noon. I am so very grateful that this event is continuing–this connection between educators, librarians, and children’s book authors and illustrators is vital for the mental and emotional health of our children. My heartfelt thank you to Maurna Rome for organizing the event and to all those good-hearted people who worked together on a Minnesota winter evening. I hope you’ll be able to join us at the Breakfast!